Aside from the obvious pain and suffering associated with any injury, it can also have a devastating effect on your ability to work. Lost wages, pain and suffering, loss of consortium and medical bills can often send you into bankruptcy and wreak havoc on your personal relationships. Your only recourse is a workmens compensation claim or a personal injury lawsuit. Unfortunately, Massachusetts personal injury protection (PIP) on auto insurance policies simply do not even begin to address the losses an accident victim may experience. Massachusetts Personal Injury Protection (PIP) laws. 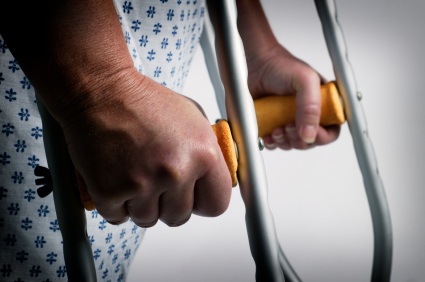 You are entitled to help with your auto accident medical bills regardless of who is at fault. Massachusetts is what is known as a "no-fault" state with regard to car accident injury claims. This insures that everyone gets a basic level of help with their medical bills after an MA car accident. Under Massachusetts law (M.G.L. Ch.90,Section 34M) your auto insurance company always pays the first $2000 of medical bills as part of a compulsory insurance package required for all vehicles. After that, if you have private health insurance, your own coverage takes over. If you don't have any health insurance, or if you have a state program such as Mass Health your medical bills from $2000 to $8000 are covered under PIP. PIP can also be used to cover up to 75% of lost wages if you are out of work. One thing to note: Massachusetts Personal Injury Protection does NOT cover riders and passengers involved in a motorcycle accident. PIP does cover other people injured by a motorcycle however. The rules and paperwork for managing the PIP paperwork can be fairly complicated. That's why as your attorney, I take care of all of this for you. Many MA auto accident lawyers may charge you several hundred dollars or more out of your final settlement to cover the costs of handling the Personal Injury Protection paperwork. I include this valuable service at no extra cost to you.